Perestroika refers to a series of political and economic reforms meant to kickstart the stagnant 1980s economy of the Soviet Union. Its architect, President Mikhail Gorbachev, would oversee the most fundamental changes to his nation’s economic engine and political structure since the Russian Revolution. But the suddenness of these reforms, coupled with growing instability both inside and out of the Soviet Union, would contribute to the collapse of the U.S.S.R. in 1991. 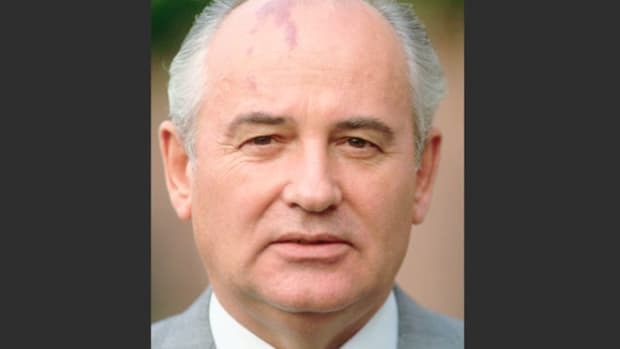 In May 1985, two months after coming to power, Mikhail Gorbachev delivered a speech in St. Petersburg (then known as Leningrad), in which he publicly criticized the inefficient economic system of the Soviet Union, making him the first Communist leader to do so. This was followed by a February 1986 speech to the Communist Party Congress, in which he expanded upon the need for political and economic restructuring, or perestroika, and called for a new era of transparency and openness, or glasnost. But by 1987, these early attempts at reform had achieved little, and Gorbachev embarked on a more ambitious program. Gorbachev loosened centralized control of many businesses, allowing some farmers and manufacturers to decide for themselves which products to make, how many to produce, and what to charge for them. This incentivized them to aim for profits, but it also went against the strict price controls that had been the bedrock of Soviet economic policies. 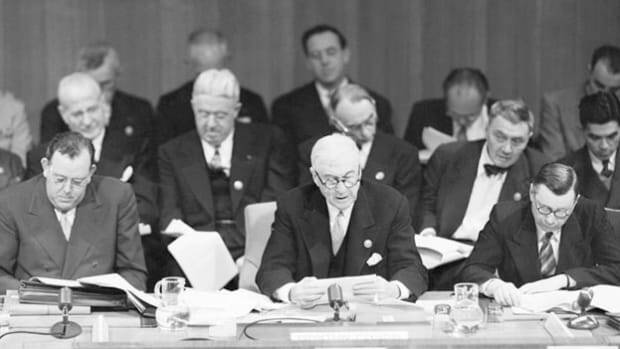 It was a move that rankled many high-ranking officials who had previously headed these powerful central committees. 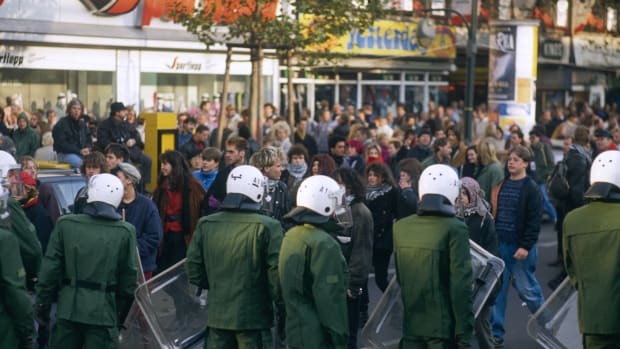 In May 1988, Gorbachev introduced a new policy that allowed for the creation of limited co-operative businesses within the Soviet Union, which led to the rise of privately-owned stores, restaurants and manufacturers. Not since the short-lived New Economic Policy of Vladimir Lenin, instituted in 1922 after the Russian civil war, had aspects of free-market capitalism been permitted in the USSR. In fact, the term “private property” was never even used. Many of these new co-ops became the basis of the oligarchical system that continues to control power in Russia today. Gorbachev also peeled back restrictions on foreign trade, streamlining processes to allow manufacturers and local government agencies to bypass the previously stifling bureaucratic system of the central government. He encouraged Western investment, although he later reversed his original policy, which called for these new business ventures to be majority Russian-owned and operated. He also showed initial restraint when laborers began to push for increased protections and rights, with thousands protesting the wild inefficiencies of the Soviet coal industry. But he again reversed course when faced with pressure from hardliners after a massive strike by 300,000 miners in 1991. While Gorbachev had instituted these reforms to jumpstart the sluggish Soviet economy, many of them had the opposite effect. The agricultural sector, for example, had provided food at low cost thanks to decades of heavy government subsidies. Now, it could charge higher prices in the marketplace – prices many Soviets could not afford. Government spending and Soviet debt skyrocketed, and pushes by workers for higher wages led to dangerous inflation. 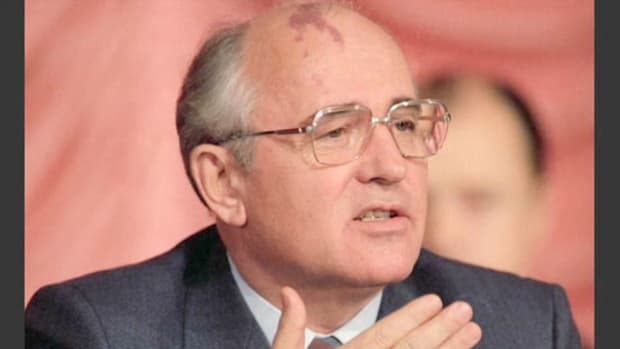 If Gorbachev faced opposition from the entrenched hardliners that he was moving too far, too fast, he was criticized for doing just the opposite by others. Some liberals called for full-fledged abolishment of central planning committees entirely, which Gorbachev resisted. As reforms under glasnost revealed both the horrors of the Soviet past, and its present-day inefficiencies, Gorbachev moved to remake much of the political system of the U.S.S.R.
At a Party meeting in 1988, he pushed through measures calling for the first truly democratic elections since the Russian Revolution of 1917. Hardliners who supported this initially believed that the date for these elections would be far enough in the future that they could control the process. Instead, Gorbachev announced that they would be held just months later. The resulting campaign for the new Congress of People’s Deputies was remarkable. While some Communist Party members reserved many of the seats for themselves, other hardliners went down to defeat at the ballot box to liberal reformers. 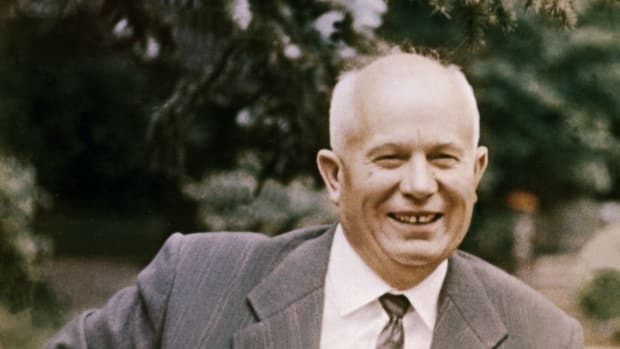 Former dissidents and prisoners, including Nobel laureate physicist and activist Andrei Sakharov, were elected, as candidates waged Western-style campaigns. When the new Congress met for its first session in May 1989, newspapers, television and radio stations – newly empowered by the lifting of press restrictions under glasnost – devoted hours of time to the meetings, which featured open conflict between conservatives and liberals. “Everybody stopped working,” Taubman says. “It was as if the whole country started watching television…the windows were open, and you could hear the debates coming out of apartment windows.” In 1990, Gorbachev became the first – and only – President of the Soviet Union. But as with economic reforms, many of these newly-elected reformers used their platforms to criticize what they still considered limited change. And the pushback by hardliners was just as fierce. In March 1988, the largest newspaper in the Soviet Union published a full-throttled attack on Gorbachev by chemist and social critic Nina Andreyeva. The article, “I Cannot Forsake My Principles,” was likely written with the tacit approval of several members of the Politburo, the highest-echelon of the Communist Party, and was seen as an attempt to destabilize Gorbachev. Gorbachev’s additional reforms, which allowed for the creation of political parties, and increasingly shifted autonomy and control to local and regional bodies, rather than the central government, weakened his own base of support as the Communist Party lost its monopoly on political power in the vast Soviet Union. Gorbachev held firm on a promise to end Soviet involvement in a war in Afghanistan, which the U.S.S.R. invaded in 1979. After 10 controversial years and nearly 15,000 Soviet deaths, troops fully withdrew in 1989. The Soviets began increasingly engaging with the West, and Gorbachev forged key relationships with leaders including British Prime Minister Margaret Thatcher, West German leader Helmut Kohl, and most famously, President Ronald Reagan. 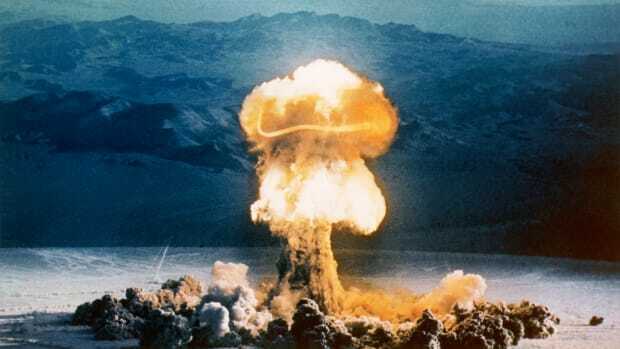 It was with the staunchly anti-Communist Reagan that Gorbachev, a new kind of Communist leader, achieved a series of landmark agreements, including the 1987 INF Treaty that eliminated all intermediate range nuclear weapons in Europe. After decades of heavy-handed control over Eastern Bloc nations, the Soviet Union under Gorbachev eased their grip. 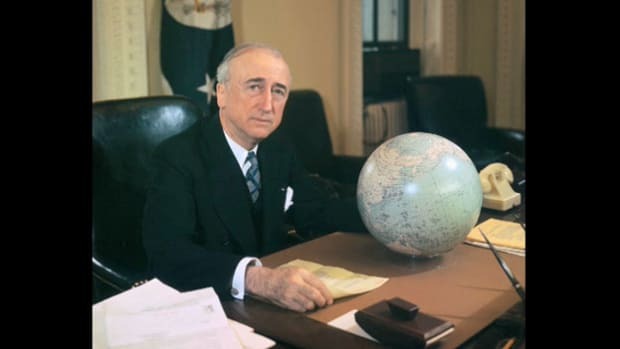 In 1988, he announced to the United Nations that Soviet troop levels would be reduced, and later said that the U.S.S.R. would no longer interfere in the domestic affairs of those countries. The remarkable speed of the collapse of these satellite countries was stunning: By the end of 1989 the Berlin Wall came down and Germany was on the path to reunification, and relatively peaceful revolutions had brought democracy to countries like Poland, Bulgaria, Czechoslovakia and Romania. 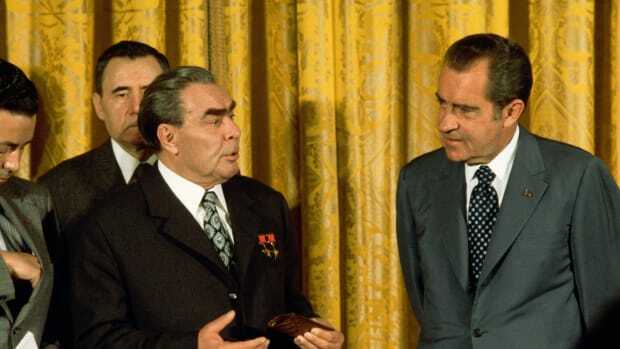 Inspired by reforms with the Soviet Union under both perestroika and glasnost, as well as the collapse of Communism in Eastern Europe, nationalist independence movements began to swell within the U.S.S.R. in the late 1980s. As the difficulties of half a decade of reform rattled the stability of Communist Party, Gorbachev attempted to right the ship, shifting his positions to appease both hardliners and liberals. His increasing appeals for Western support and assistance, particularly to President George H. W. Bush, went unheeded. In August 1991, a coup by hardliners aligned with some members of the KGB attempted to remove Gorbachev, but he maintained in control, albeit temporarily. In December, almost 75 years after the Russian Revolution ushered in the Communist Party era, the Soviet Union ceased to exist. Gorbachev resigned on December 25, 1991. The Cold War was over. Gorbachev: His Life and Times, by William Taubman (W. W. Norton & Company, 2017). Revolution 1989: The Fall of the Soviet Empire, by Victor Sebestyen (Vintage, 2010). Milestones of Perestroika: Spiegel Online. Greater Glasnost Turns Some Soviet Heads. The New York Times, November 9, 1986. Glasnost and Its Limits: Commentary Magazine (July, 1988). Perestroika and Glasnost: 17 Moments in Soviet History, Macalester College and Michigan State University. Perestroika, Library of Economics and Liberty. New Struggle in the Kremlin: How to Change the Economy. The New York Times, June 4, 1987). Perestroika: Reform that changed the world. BBC News, March 10 2015.